A recent trend in the country is combining go-karts and high-speed racetracks for an experience beyond what you’d expect. I recently visited Inje Speedium, a go-kart racing venue featuring a sea horse-shaped course with various elevation changes where you can get your kicks by driving freely and very fast. Inje Speedium is a place where people who dream of becoming professional racers can go to try their hand at karting on a circuit like a professional. The race track meets the global standards (Federation Internationale de L’Automobile -FIA Grade 2), drawing kart enthusiasts from all over. Unlike other karting tracks, this track has a width of about 14 meters and is 1.3 km long. So, bring your friends because the generous width of the circuit allows others to attempt to whiz by as they vie for first place. It took me about a lap to get used to the track, but soon I was flying at a speed of 70 km per hour. I felt like I was in a convertible going way faster than that. With every turn, the massive G-force reminded me I was driving on a real racetrack. There are three types of karts you can ride at Inje Stadium. The first is a recreational cart (25000 KRW or about $22 per 10 min) which is the standard go-kart available in the states. These karts are for children over 11 years old, as they are low-speed and are mostly just for entertainment. In Korea, a go-kart is commonly referred to as small kart for kids. So, don’t expect the U.S. standard go-kart when you ask for one in Korea, they will surely take you children’s kart. Instead, ask for a circuit kart. Circuit karts weigh about 154 pounds, are powered by four-stroke engines with nine horsepower and will set you back about 30,000 KRW per 10 minutes. If you want to try the fastest kart in Inje, choose the “racing kart.” This kart is faster and more expensive than the circuit kart at 50,000 KRW per 10 minutes. This one requires getting a circuit license through a 150-minute class (100,000 KRW). The track is a fun way to get some speed and have fun with your friends and family. Also, good to note: karting experiences vary by stadium, thus making it worth your time to try them out and find the perfect fit for you. To counter the stroll through the forest, a thrilling go-kart race at high velocity might be just what you need. Inje stadium will definitely have you flying by the seat of your kart and feeling like a professional driver. - All kart services are available in Inje stadium only after 4:30 p.m. during the winter season. During the regular season, go-karters can use the track at a different time, but need to make a reservation through the stadium website. - Bring gloves and wear long-sleeved shirt, pants and running shoes while you race. (KOR/ENG) Make sure check the operation calendar in the homepage to avoid a scheduling conflict with a professional auto race team. Directly across from the track’s grandstands, find the Inje Speedium Classic Car Museum, featuring a touch of nostalgia with vintage cars. Check out the seven different display spaces featuring classic cars. Hop into a light-weight roadster MG MGB from the late 1960s for a quick pic. The space of the museum divided into various zones inspired by racecar films. Check out the old garage and gas station zone, part of a scene from Australian crime thriller “Son of a Gun,” which features many cars from the 1970s to 2000. The size of the museum is smaller than others and the entrance fee is not cheap (12,000 won per adult) considering the number of displays. But, for classic car enthusiasts, this is worth a gander. - Price: Adult 12,000 KRW, Juvenile (age of 14 to 19) 9,000KRW, Child (age of 4 to 13), Service person (7,200 fKRW), Open hours: Jan to Dec 1000 a.m. to 1800 p.m. (closed every Monday). There are only two places in Korea where the official go-karting racing competition is held: Paju Speed Park and Korea International Circuit (KIC). The coolest thing about these tracks is that there is no speed limit, unlike the Inje Speedium track with a max speed limit of 70 km. 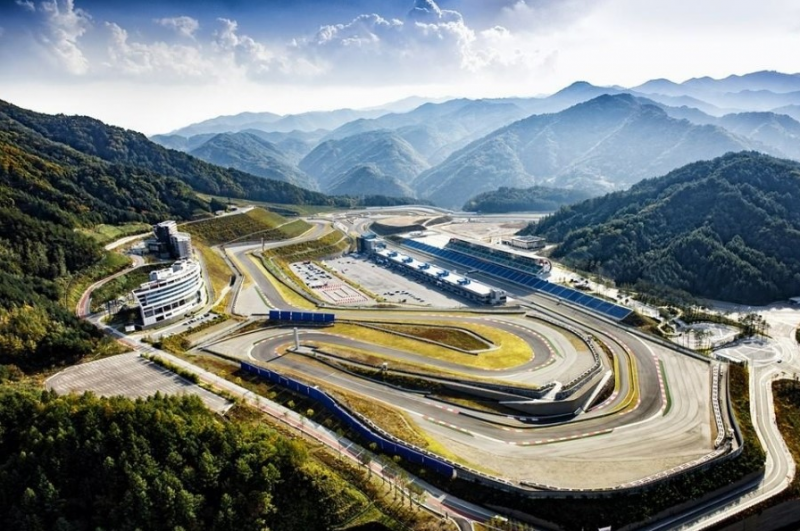 Located in the Yeongam-gun, Jeollanam-do region, the Korea International Circuit (KIC) is the hybrid F1 circuit that is about a three-and-a-half-hour drive from Camp Humphreys and Osan Air Base. Their miniature go-kart circuit reflects the feature of the real F1 race track. Their sport kart has a top speed of 60km and costs 25,000KRW per 10 min. You’ll need to get a circuit license (about 150 min. and 100,000 won) if you want to drive a racing kart with no speed limit. 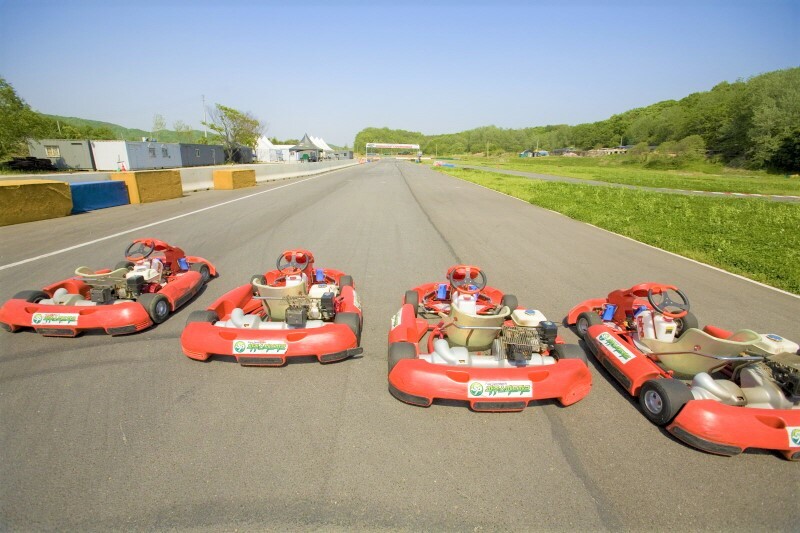 The Paju Speed Park is located north of Gyeongi-do, and its 1.2 km-long, 12-meter wide kart circuit is just for the go-karting (50,000KRW per 10 min). Racing from the 12 corners and 2 hairpin corners are the real charm of go-karting. You know, drifting kart in Mario Kart game is easy as a pie, but the real racing was a different story. And who knows, you may just be a racing champion in the making. Some of the best professional drivers - Michael Schumacher, Daniel Riccardo, and Lewis Hamilton - all began their motorsport careers in karts. Homepage: http://www.pspark.co.kr/ Operation hour: 0900 to 1800 p.m.
- At Paju Speed Park, you don’t need to get an additional circuit license for fast kart like at other circuits. - Paju Speed park will give you some basic techniques for about 10 minutes free of charge.